The spring 2016 Queer Studies Lecture Series at Sonoma State University includes a special lecture by Faith Cheltenham, activist and president of the non-profit "BiNet USA." 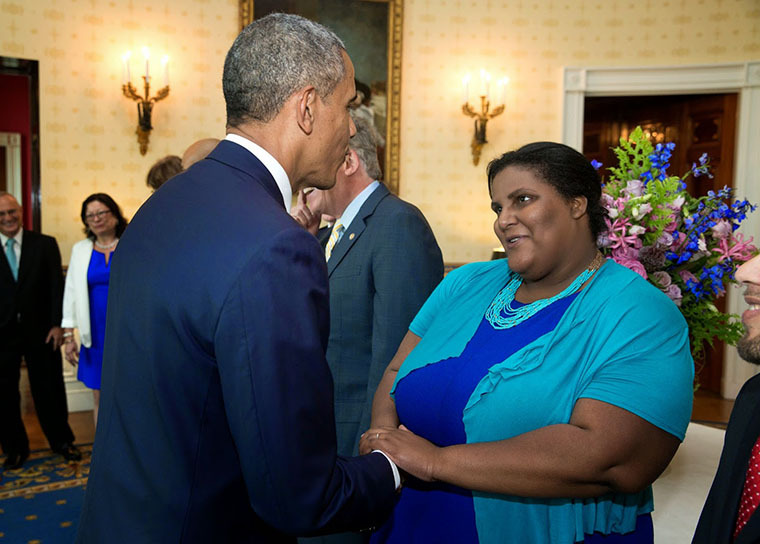 Cheltenham was highlighted by the White House in 2012 as one of their "Women Working to Do Good" and invited to stand with President Obama as he signed an executive order barring federal contractors from discriminating against LGBT employees in 2014. Cheltham has helped bring more awareness to the bisexual community by working with companies and other administrations to help fund bisexual resources and to end the stigma against bisexual identity. Other speakers include Sonoma State faculty and activist leaders from the local community. This spring's series includes topics like sexuality in queer film, self-care and more. Lectures are held on Mondays, 12:05 to 12:55 p.m. in Ives 101. Admission is free, parking on campus is $5-$8. The series is presented by the Women's and Gender Studies Department at Sonoma State.